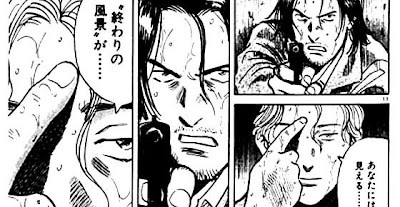 Naoki Urasawa is one of Japan's all time great manga artists. The first real splash his works have had on the states is a series call "Monster." In its American incarnation, the series was dulled out of 18 volumes. I'm currently reading 14. As a writer who LOVES thrillers, Monster is the prime example of what good comics can do in this field. This thing is epic. If you haven't read it or heard of it, I highly recommend that you do. Also, I found a pretty rockin documentary on the creator with English subtitles. Enjoy!